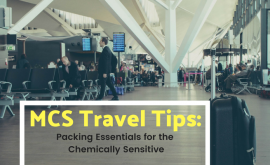 Coping with Chemical sensitivities can be quite the challenge of avoiding exposure from chemical odors, fragrances, and non-toxic chemicals can be nearly impossible when you are outside of your home. There are millions of allergy suffers worldwide who experience allergic reactions when they come into contact with or are exposed to chemicals or toxic compounds. For those with fragrance and chemical sensitivities, chemical exposures can cause allergic reactions and episodes which may trigger respiratory problems, asthma, dizziness, itchy skin or rashes, and many more problems. There are external environments that may be difficult to avoid but as far as your home’s indoor air quality is concerned there are accommodations that can be made to make it non-toxic and safe for those with MCS and Environmental illnesses. A common question that we receive is how costly will these accommodations be and what needs to be done to make a home safe? Without seeing the home that would be a difficult question to answer, but the first items on the to-do list should be removing toxic cleaning products and materials in your home and creating systems in the home that can remove toxic odors and chemical vapors as well. 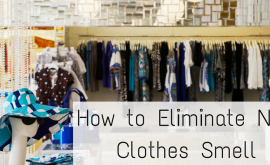 Often transferred fragrances and chemical odors may get onto your clothing and end up contaminating other areas and items inside of your home. Traditional detergent are designed to get your clothes clean but are limited in its technology to deodorize and neutralize chemical odors and fragrances. The EnviroKlenz Laundry additive was designed to safely and effectively remove chemical odors, odors, and fragrances from your washable items without the use of fragrances or toxic chemicals. Just add the EnviroKlenz Laundry additive along with your normal detergent to your wash to get your clothes clean and odor free. 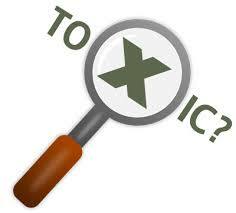 2)Use household cleaning products that are free of harmful chemicals. Many cleaning products can cause more harm than good and if you are not careful, the cleaning items you store in your home or garage can actually contaminate the indoor air quality in your home. The EnviroKlenz everyday odor eliminator may be used to replace some of your traditional cleaners to remove malodors, chemical odors, and fragrances. The solution may be used in carpet cleaners and hot water extractors to remove odors from water-safe surfaces, carpeting, mattresses, and upholstery. with electric ones, if you tolerate electricity better. Some environmentally aware people advocate the use of gas because it is cheaper than electricity, but health effects also must be factored into the cost. 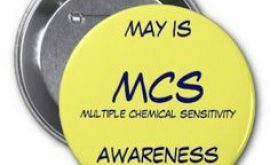 Gasses are sensitizers and rank high on the list of chemicals to which people with MCS react. 4)Run a HEPA air purifier to remove harmful VOCs & particulates. Since we spend the majority of our time in our homes in only make sense that our indoor air quality is our #1 concern. Deploying a HEPA air purifier can help remove particulates from your indoor air such as dust, dander, pet hair, bacteria, and pollen. In regards to improving your home’s indoor air quality, removing the particulates should be one of the two areas of focus along with removing and neutralizing chemical odors and VOCs. 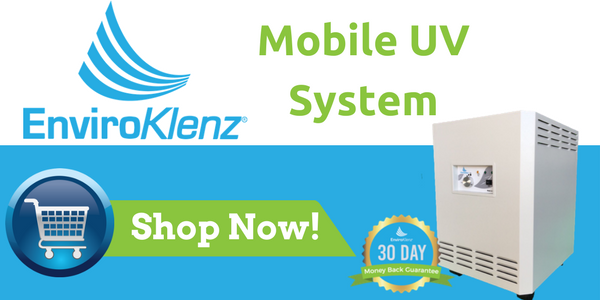 The EnviroKlenz mobile air system was designed to focus on both areas of air filtration by providing a filter for chemical odor neutralization and a HEPA filter for particulate removal of up to .3 microns. The unit is equipped with a 4-speed blower which ranges from whisper-high and is portable and effectively treats up to 750 square feet.